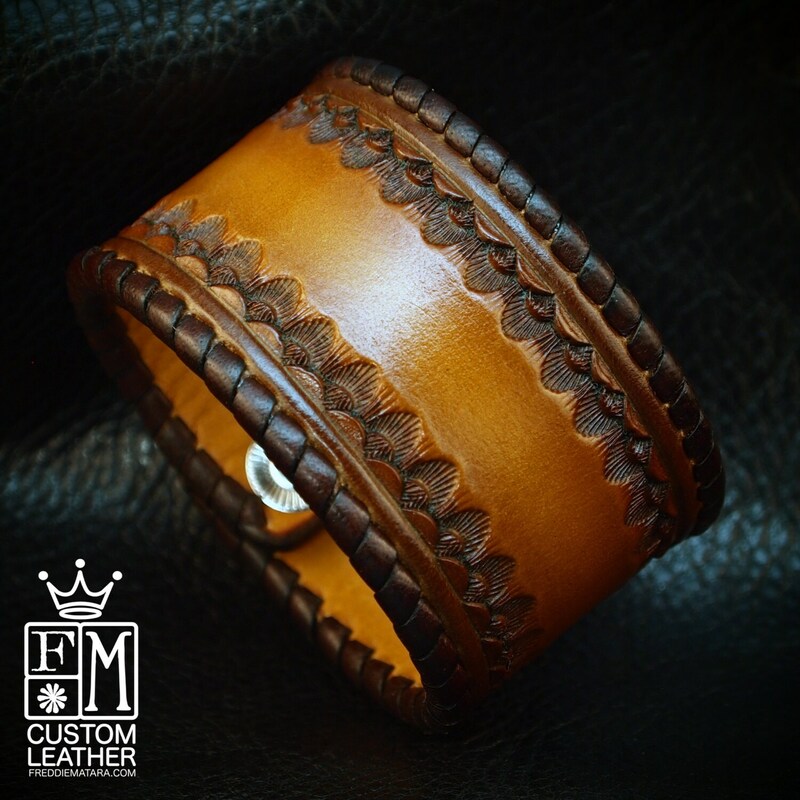 This 1.5" wide leather cuff bracelet is custom dyed in a light brown fade to dark chocolate edges . It's stamped inside the perimeter and the edges are whipstitched in chocolate leather lace. Two hand distressed snaps provide the closure!!! 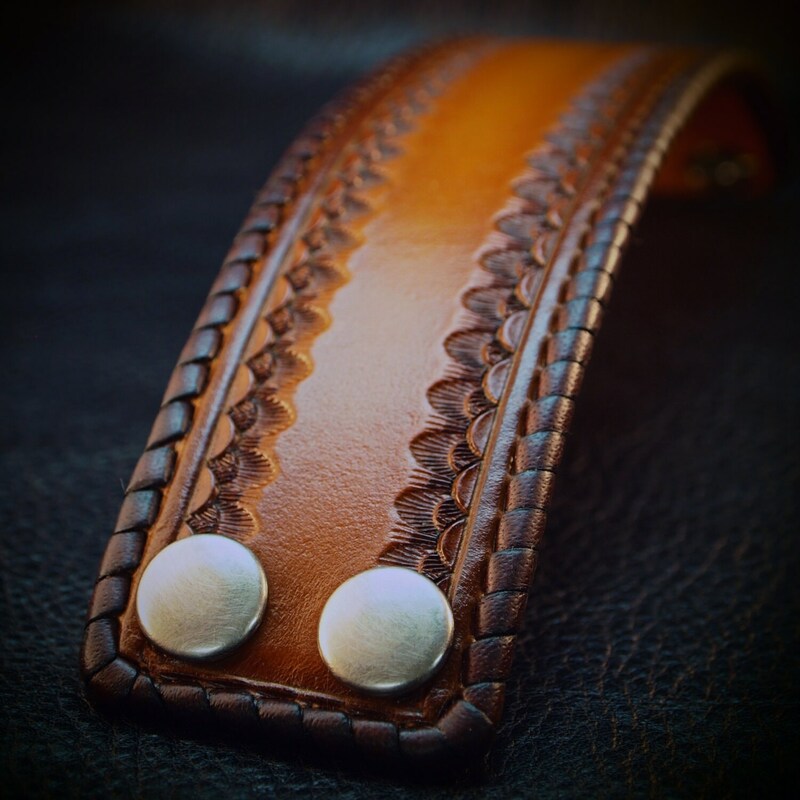 A great width for any wrist! 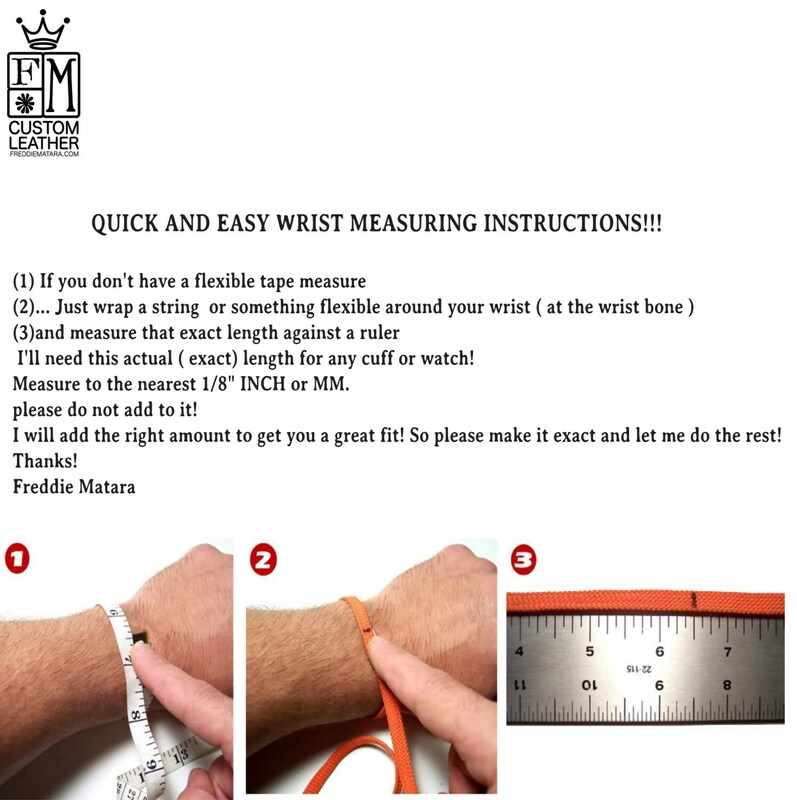 Custom sized for your wrist!!! Thanks for checking out my work! 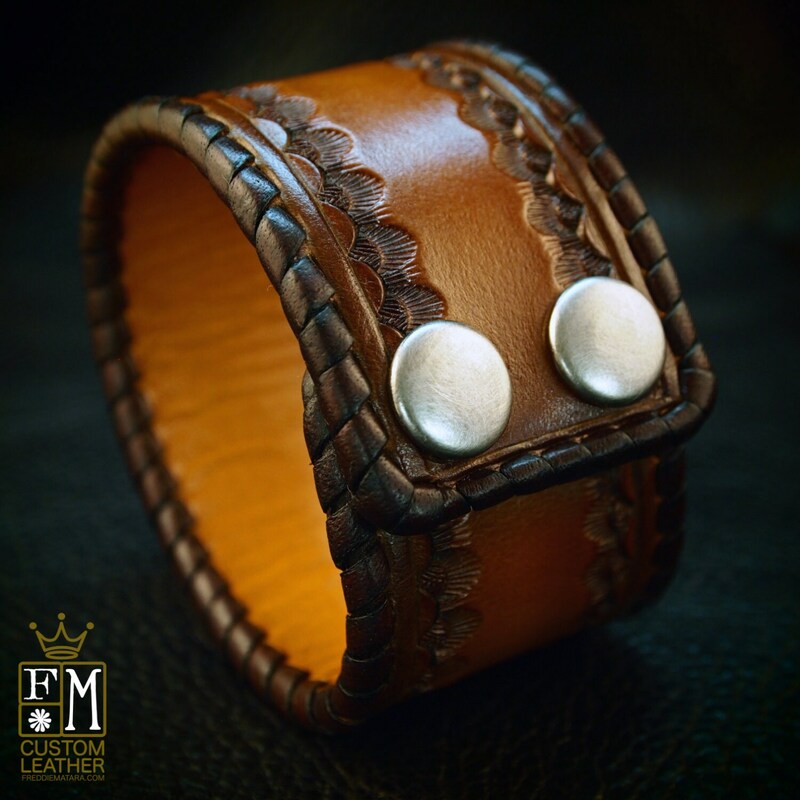 I use a fine hand in my work bridging the gap between craft and art and truly love making You leather Quality wristwear. Visit me in my Williamsburg Brooklyn Workshop. Private appointments and custom orders accommodated. Outstanding!! Exceptional detail and perfect fit. Very happy customer.